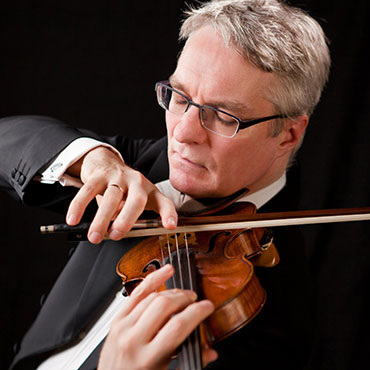 Singers competing for the Linn Maxwell Keller Distinguished Bach Musician Award were promised not only a $10,000 prize to encourage and promote their careers, but also the possibility of a future engagement with the Grand Rapids Bach Festival. For soprano Nola Richardson, winner of the inaugural Keller Award, the wait wasn't long. Just hours after she was declared winner of the prize named for the founder of the Grand Rapids Bach Festival, she was on stage Thursday evening, singing Johann Sebastian Bach’s Mass in A Major with The Choir of Trinity Wall Street and the Grand Rapids Symphony under Artistic Director Julian Wachner. Meanwhile, earlier in the day, the soprano previously engaged to perform Thursday evening with the Grand Rapids Symphony had to cancel her appearance in Johann Sebastian Bach’s Mass in A Majoras part of the Grand Rapids Bach Festival. 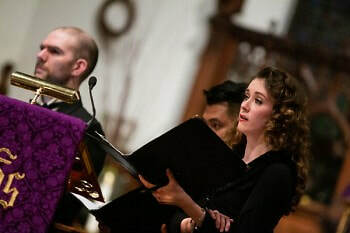 Richardson, however, had sung the soprano aria, “Qui tollis peccata mundi,” from the Bach Mass as one of her three competition selections, and Wachner, who had served as master of ceremonies at both the competition’s semifinal round on Tuesday and at its final round on Thursday knew what she could do. Praised by the New York Times for her “beautiful tone” and the Washington Post for her “astonishing balance and accuracy,” “crystalline diction” and “natural sounding ease,” soprano Nola Richardson has sung Bach’s Cantata No. 51 and Scarlatti's Su le Sponde del Tebro with the Baltimore Symphony Orchestra; “Simply Sondheim” with the Boston Pops; and Handel's Messiah with the Colorado Symphony. Mezzo soprano Linn Maxwell Keller, who graced international concert halls and opera houses in her career, sang at major Bach festival throughout the United States including the Oregon Bach Festivalunder Helmuth Rilling. In 1997, she founded the biennial Grand Rapids Bach Festival as a week-long, community celebration of the music of J.S. Bach. October 23rd, 2017 Newsletter: A Cd Release and a Baltimore Concert! I haven't updated you all for quite awhile as this last year just flew by! If you'd like to see what I've been up to, please take at look at my website, professional facebook page, or instagram. I've also put some photos and reviews from the past year below. As for what's next, I'm really excited to be returning to sing with the Baltimore Choral Arts Society under their new director, Anthony Blake Clark. I always love having a reason to return to Baltimore and I'm looking forward to singing Handel's virtuosic "Dixit Dominus" and Bach's cantata 14. You can check out the details for the concert on Saturday, October 28th, or purchase tickets through the Baltimore Choral Arts Society Website. My other big news is that I am featured on Yale's recording of Fauré's "Requiem and other sacred music" which is being released on October 27th through Hyperion records! I'm the soloist for the beautiful "Messe Basse" for treble voices. You can pick up a copy through Amazon, iTunes, or Barnes and Noble. Coming up later this fall, I'll be singing with the choir of Trinity Wall Street in collaboration with the Tallis Scholars, Nederlands Kammerchor, and Det Norske Solistkor for the White Nights Festival at the Lincoln Center. In December, I'm looking forward to singing with the American Classical Orchestra for the first time as the soloist in C.P.E. Bach's Magnificat and returning for a Messiah with the Colorado Bach Ensemble. June 8th, 2016 Newsletter: Competitions, Yale, and the Baltics! I'm writing this note from St. Petersburg, Russia in the midst of my third week of touring! I had an amazing time visiting Estonia, Finland, and Russia for the Yale ISM study tour and now the Yale Schola Cantorum members are gearing up for three performances of Arvo Pärt's Passio in St. Petersburg, Tallinn, and Riga. I'll be singing in the Evangelist quartet and Pärt himself will be attending our performance in Estonia! In other news, I was recently honored to win a shared first place in the Bethlehem Bach Biennial Competition in late May! Two years ago I received an honorable mention and it was very nice to return and sing again. 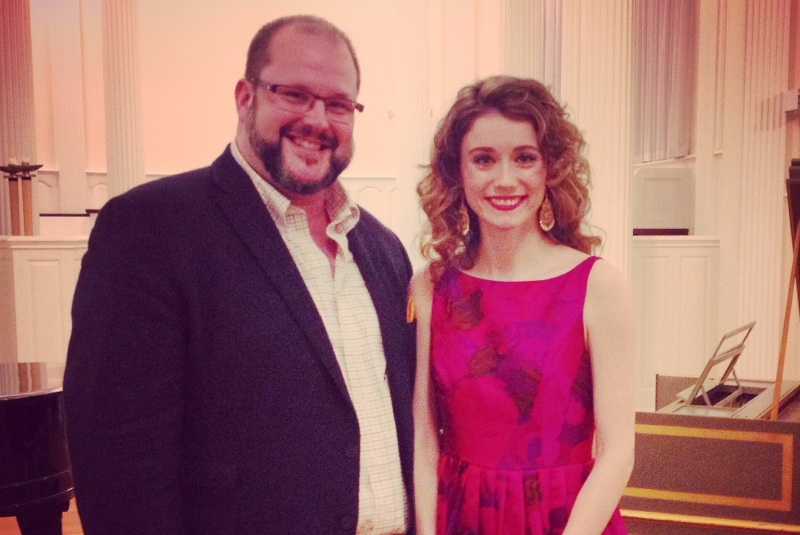 I was also selected to be one of seven finalists in the Madison Handel Competition in July! Please wish me good luck as I prepare for this next event. I am very happy to announce that I have successfully completed the residency period of my degree at Yale. This year was a tough one for me as I had to complete many doctoral requirements on top of my performances and coursework. I spent most of the year researching and completing my thesis on French Baroque soprano, Marie Le Rochois, and passed comprehensive written and oral exams. It's a huge relief to have all that behind me! Now I am looking forward to having the next few years more free for performing and setting my own path and I'm excited to see what will happen. 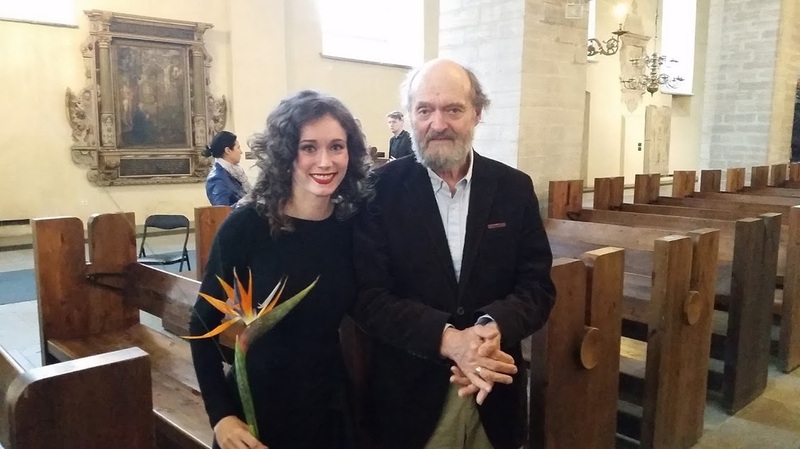 Me with Arvo Pärt after performing the soprano part in the Evangelist quartet for his Passio! October 16th, 2015 Newsletter : New York Debut! I'll be performing two concerts this weekend in New Haven and New York with the brilliant Masaaki Suzuki, Yale Schola Cantorum and Juilliard415. We will be presenting two of Bach's Lutheran Masses (BWV 234 and 235). 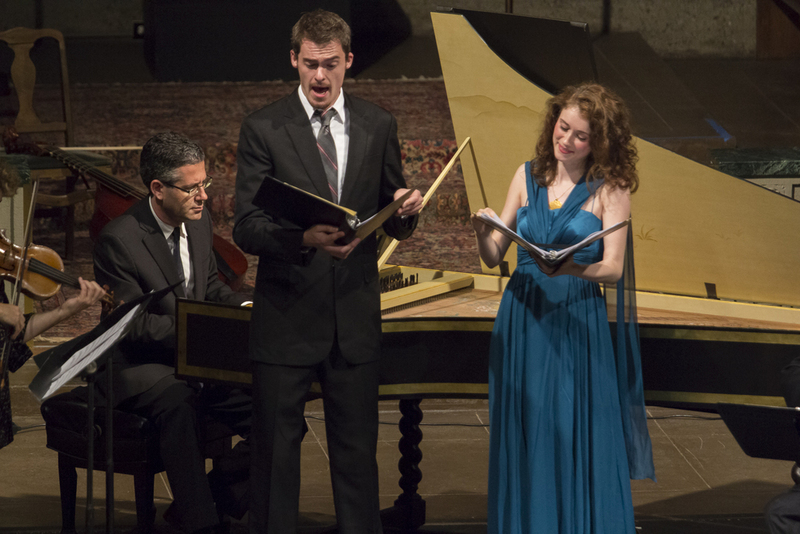 Both of these masses incorporate some of the greatest music from many of Bach's cantatas. These pieces are not frequently performed, so it's a wonderful chance to hear them with an excellent historically informed performance ensemble! I've had a very busy start to my second year at Yale. This past week my fellow voxtet singers and I had the opportunity to work with Dame Emma Kirky and lutenist Jakob Lindberg. We each prepared songs to perform in recital with Jakob, and were also coached on the 4-part settings of several Dowland songs. Here's a picture of me and my fellow second-year singers reading from facsimiles of the original printing of Dowland's "Second Book of Songes or Ayres" from 1600. These books were published with the alto, tenor and bass parts facing out in different directions so four singers could sit around a table reading from the same book and make music together! ​ in Yale's beautiful 16th century Swiss Room. Photo courtesy of Melanie Ross. 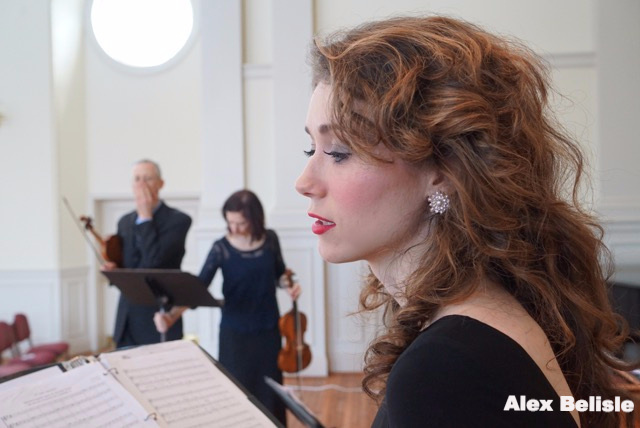 This past weekend I was also thrilled to perform Samuel Barber's Knoxville, Summer of 1915 with orchestra for my friend Sarah Paquet's MM conducting recital. This is a piece that I have loved for years, so I felt very fortunate to perform it for the first time with my very talented colleague. I also had the opportunity to coach this piece with Dawn Upshaw at Tanglewood this summer, which was very helpful and inspiring. If you haven't heard her beautiful recording of Knoxville, I highly recommend it! 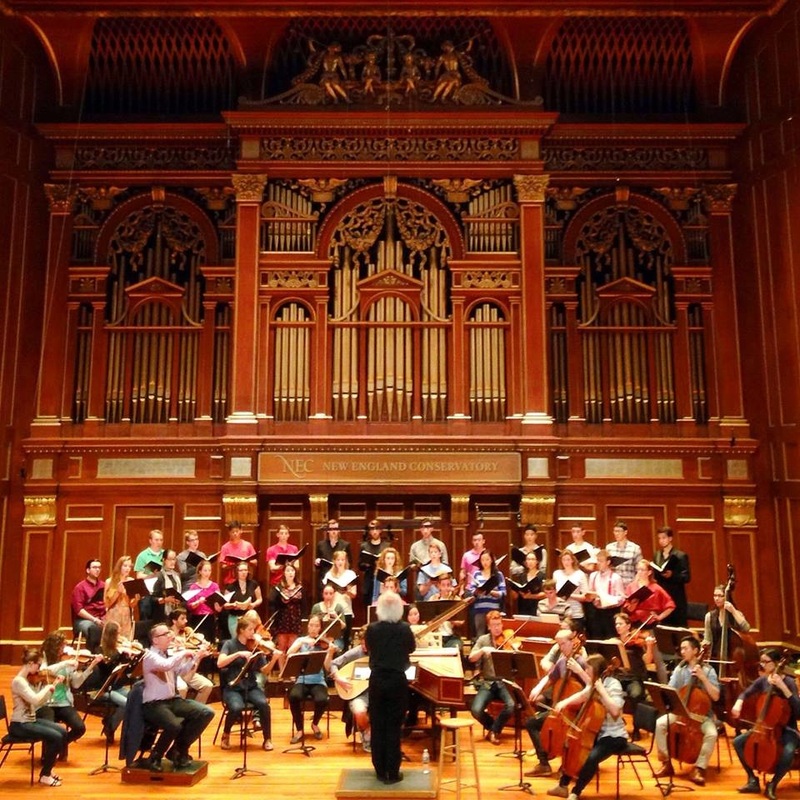 Coming up in the next few months I'll be singing Handel with the Schola Cantorum and David Hill in New Haven and Portland, OR for the National Collegiate Choral Organization and Bach with the Yale Camerata. As always, please check my website calendar or facebook page for updates! 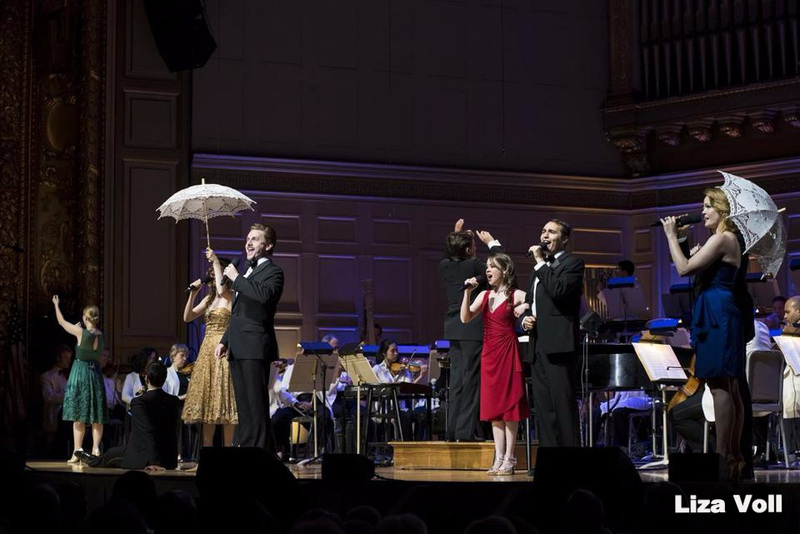 Catch the radio broadcast of our Boston Pops concert on WGBH today (Saturday, June 13th) or Monday June 22nd at 8 PM. Details here: http://www.wgbh.org/995/bso.cfm Jason Danieley and Kate Baldwin were amazing and it was so fun to sing Sondheim! My spring was filled with wonderful performances and people this year. From top right: As Galatea with American Bach Soloists in SF; Performances with Les Delices in Cleveland; a solo recital for His Holiness the 17th Karmapa at Yale; and with my teacher, James Taylor after my first Doctoral recital. As always, please check my website for an updated performance calendar, news and reviews or follow my facebook page. I've been having an amazing time so far at Yale but I'm very excited to return to Baltimore this weekend to sing lots of Bach with some of my favorite musicians in a program with the Baltimore Choral Arts! The details are below- I hope you can make it! 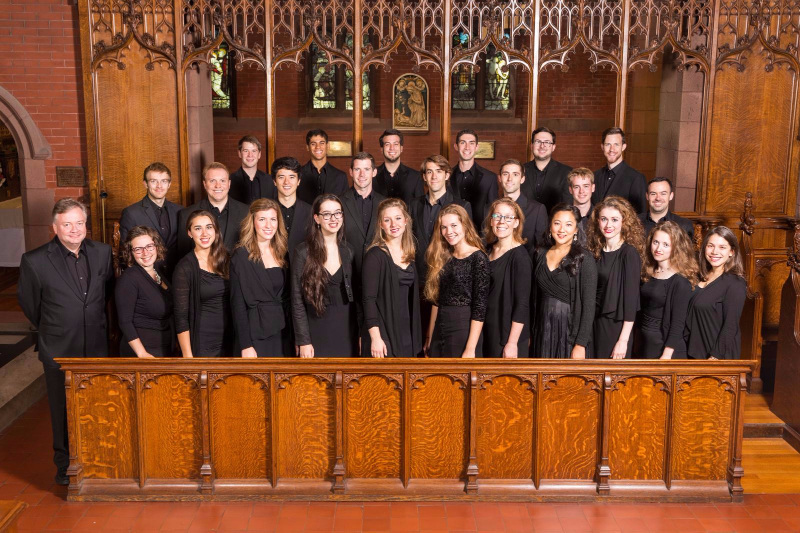 In other news, I've already had several concerts with the amazing Yale Schola Cantorum. The picture above is from last weekend's performances of Zelenka's Missa Dei Patris led by Masaaki Suzuki. We performed at NEC's Jordan Hall (pictured above), at St. Mary's in New Haven, and at the Peter Jay Sharp Theater in New York. We got a great New York Times Review, and my soprano solo was described as "serenely crystalline" in the Boston Musical Intelligencer! Make sure to check out some of my other upcoming performances on the right! Thanks for your support! July 7th, 2014 BALTIMORE SYMPHONY DEBUT! I'm thrilled to be making my debut as a soloist with the Baltimore Symphony this Thursday and Friday. I'll be performing two cantatas for solo soprano and trumpet composed by Bach and Scarlatti. The details are below, so I hope to see you there! 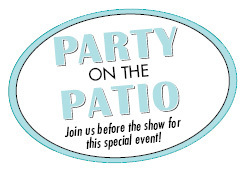 CELEBRATE IN STYLE WITH A PARTY ON THE PATIO! A-LA-CARTE APPETIZERS AND COCKTAILS WILL BE AVAILABLE FOR PURCHASE BEFORE THE JULY 10 SHOW AT STRATHMORE. IT'S HAPPY HOUR AT THE MEYERHOFF! ARRIVE AT 5:30 PM ON JULY 11 TO ENJOY FOOD TRUCKS, LIVE MUSIC FROM LETITIA VANSANT AND DELIGHTFUL WINE TASTINGS AND HAPPY HOUR SPECIALS BY BOORDY VINEYARDS! I received some very exciting news this week: I have been accepted into the prestigious Yale ISM program! As the soprano in a quartet of singers, I will have lots of amazing opportunities to work with leading conductors, be coached by expert musicians, and perform in a variety of excellent venues. Not only that, but I have also been accepted into the DMA program at Yale, so I will be able to complete coursework towards a Doctorate in Music over the next two years. I'm incredibly thrilled to have this opportunity, and I feel very indebted to many people for the help and support I have received along the way! I am looking forward to growing and improving my skills in a new environment, but I will definitely miss all of my wonderful friends, colleagues and mentors in Baltimore and DC. I hope to visit often! I am also thrilled to announce that I will be making my debut with the Baltimore Symphony this summer. I'll be performing a program of Baroque music with a small ensemble of principal players led by concert master Jonathan Carney. More details will be forthcoming, but I'm very excited for this event! I've also been keeping very busy with lots of performances. Coming up this weekend are two concerts with the District Eight, an outstanding vocal group based in DC and Virginia. There will be two performances on Saturday and Sunday in Annandale, Virginia. For more details and to purchase tickets, please visit the event page or the District Eight website. The program is entitled, "From the Crucifixion to the Resurrection" and we'll be performing works by Byrd, Tallis, Purcell, Taverner and Poulenc among others. The following weekend, I'll be performing "An Evening of French and English Lute Song" with John Armato atOld St. Paul's in Baltimore. We've really enjoyed putting this repertoire together and we are excited to perform for so many friends in Baltimore. The concert will be Friday, March 28th at 7:30 and is free. In April, I'll be singing my first St. John's Passion as the soprano soloist for the Bach in Baltimore Concert Series. There will be a Saturday performance onApril 5th in Harrisburg, PA and a Sunday performance on April 6th in Baltimore at Christ Lutheran Church. The rest of April will continue to be busy so I'll be sure to send an update. As always, please check out my website for more details on my concerts or like my professional facebook page. I am thrilled to be performing A Baroque Holiday Festival tomorrow with the Bach Sinfonia! I'll be singing Bach's Cantata 51: Jauchzett Gott in Allen Landen and other works by Handel, and Vivaldi, as well as leading an audience sing along of carols. The concert will be at 8 PM at the Arts Center at Silver Spring, Montgomery College. You can find more details and purchase tickets here. As a preview for the concert you can watch a short video from our rehearsal on Wednesday of "Let the Bright Seraphim" with trumpeter Stanley Curtis. My other very exciting news is that my album with John Armato is finally available for sale online! You can purchase the cd through my website or buy a digital version on itunes for $9.99. I hope you will enjoy the music we put together! I learned a lot from making this first album and I'm very grateful for all of the support we had! I'm also happy to announce that Eya's debut CD, Stella Serena, will be coming out soon! We'll have the CDs available for sale at our December 21st Christmas Concert, "Natus est Rex" at the Church of the Redeemer. You can also pre-order a copy onEya's website and get free shipping for pre-orders. I've also been busy with many beautiful choral performances this month. The Baltimore Choral Arts Society presented their annual "Christmas with the Choral Arts" this past Tuesday. If you missed it, you can watch it on WMAR TV, ABC 2 on Christmas Eve at 11:35 PM or on Christmas Day at noon. We will also be performing "Christmas for Kids" on Saturday, December 21st at 11 AM and a sing-along Messiah on Friday December 20th at 7:30 PM, in which I will be singing "Rejoice". Details for all of these performance can be found at the Baltimore Choral Arts website. Last, but not least, I will be performing a very fun program on January 4th with some great friends and musicians. We'll be presenting "A Colonial Christmas: A Passably Authentic Collection of 17th and 18th Century Christmas Music". I'll be singing AND playing violin and you'll also get to hear John Armato on cittern, Tyler St. Clare on flute and Michael Jancarek on dulcimer. The concert will be at Old Otterbein church and they will even be hosting a colonial style dinner before the event! Visit their website for tickets and more details. It should be a lot of fun and a great way to wrap up the holiday season! You are all invited to the official release party for my first cd, "How Sweet the Torment." Lutenist John Armato and I will be performing some short sets and our new cd will be available for purchase. There will also be free appetizers and our host, Victoria Schassler, will select wine pairings that can be purchased by the glass. I hope you can make it! The picture above is from my recent performance in San Francisco for the Silver Soiree Gala of the American Bach Soloists. Tenor Kyle Stegall and I sang "Happy We" from Acis and Galatea accompanied by the amazing musicians of ABS. I also sang the cantata, "L'impatience" by Rameau, who has become one of my favorite composers! I had an amazing time both at the Boston Early Music Festival and in San Francisco this summer soaking up as much musical knowledge as possible from many incredible world-class musicians! 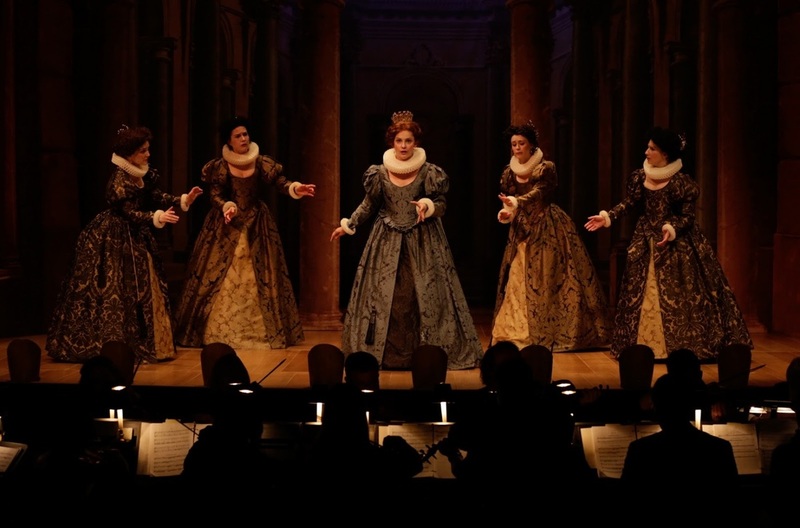 BEMF's production of Almira, received rave reviews from the New York Times, the Boston Globe and dozens of other sources. I was honored to be a part of the production. With ABS in July, I sang many amazing works including the B Minor Mass, Biber's Missa Salisburgensis, and Handel's Esther. I received a nice review in Classical Sonoma for my part in the oratorio: "Nola Richardson, the soprano playing the Second Israelite, delivered a charming aria, “Tune your harps to songs of praise!,” and her coloratura part was echoed by flute and harp in an intricate obbligato melody. Although powerful, Ms. Richardson’s voice was also flexible enough to negotiate the fluid passages." 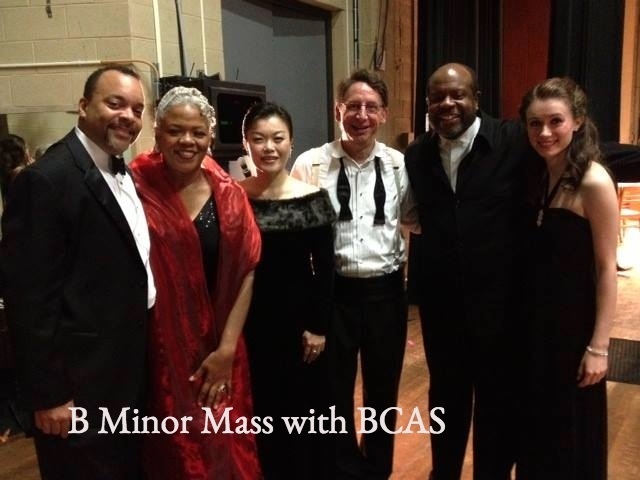 Up next is a performance of the B Minor Mass with the Baltimore Choral Arts Society. I am thrilled to be one of the soprano soloists along with great singers such as Marietta Simpson and Hyunah Yu. The performance will take place on Sunday, October 27th at 3 PM in Kraushaar Auditorium. For more details, please check out the Baltimore Choral Arts Society Website. Thanks for all your support! *if you would like to receive these newsletter updates by email, please sign up on my contact page! April 19th, 2013 Kickstarter funded! I wanted to update you all on some of my recent and upcoming concerts and projects! Most importantly, I wanted to officially announce that John Armato and I will be recording our first album of lute songs! We are hoping to release it by the end of this month and have created a Kickstarter to raise funds and gather pre-orders. Please be sure to check it out to watch a brief video and spread the word! We very much appreciate your help and support! 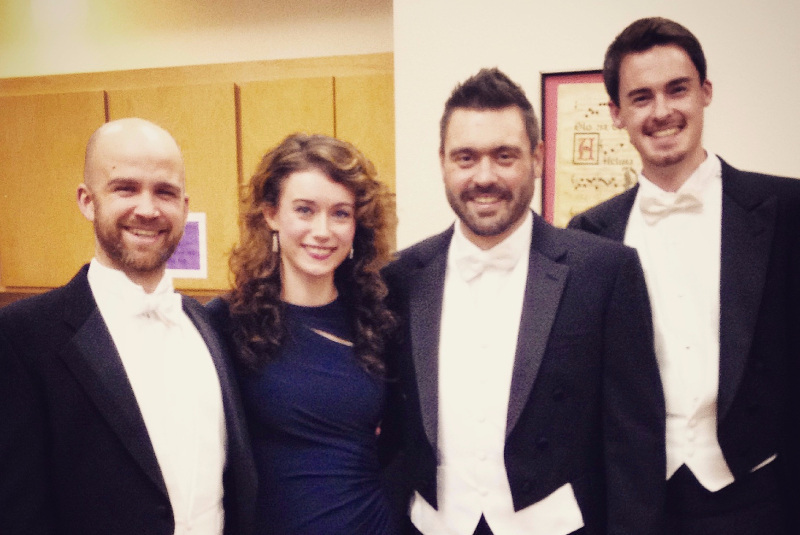 January and February included several concerts with Chantry and the Baltimore Choral Arts. I also had a blast working with Julianne Baird and Richard Stone at the Amherst Early Music Weekend in Philly and singing in Carissimi's cantata Jephte. 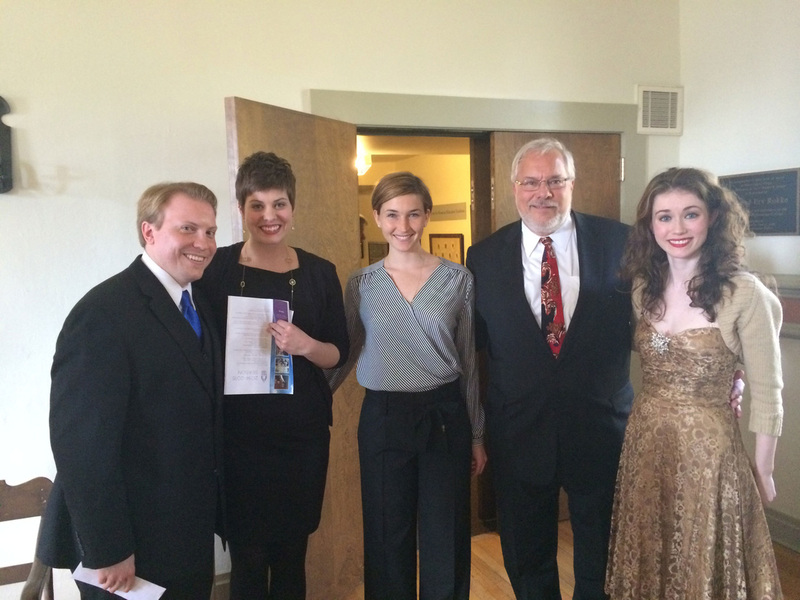 In February I sang in two of the noontime concerts at Emmanuel Episcopal for their A Joyful Noise concert series. More recently, in March I got to sing in the beautiful sculpture court of the Walters Art Gallery with Andrew Balio and several other members of the Baltimore Symphony. We performed Baroque repertoire for trumpet and soprano and received a very favorable review from Tim Smith of the Baltimore Sun: "Richardson did her most effective singing in Scarlatti's cantata "Su le sponde del Tebro," negotiating the florid lines with clarity (as clear as the acoustics would allow) and vibrancy." I've put up a video of my performance of "Su le sponde del Tebro" on my website so I hope you will check it out! 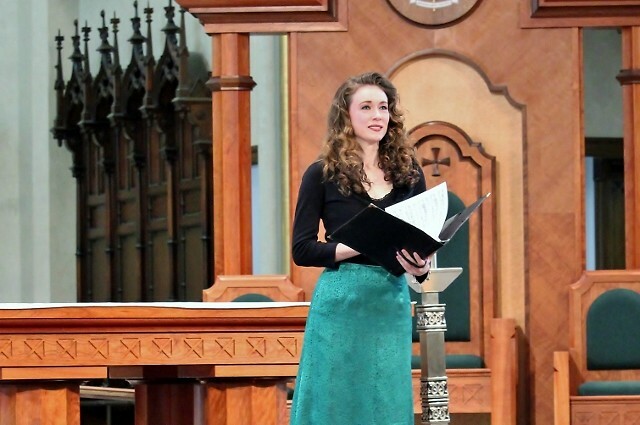 The following weekend I was in Philly again singing a short recital of duets with my friend and fellow soprano, Sara Mackimmie and Lutenist Richard Stone before Tempesta di Mare's performance of Messiah. These pieces were written by Handel about a month before he composed Messiah and they contain many of the same melodic themes so it was very interesting to learn them! Tempesta di Mare posted a brief video of our performance on their facebook page along with other clips of the amazing soloists, choir and orchestra. The rest of March was busy with recording sessions, rehearsals and several beautiful church services during Holy week. I sang twice at the National Cathedral for Evensong and then got to perform the soprano solos in Haydn's Seven Last Words of Christ for Good Friday at the Cathedral of the Incarnation where I am the cantor and soprano section leader. April will continue to be busy! This weekend I am the soprano soloist in Bach's B Minor Mass with the Bach Concert Series of Baltimore. The performance will take place on April 7th at 4 PM at Christ Lutheran Church. The following weekend, I am excited to return to Hood College as their soloist for Schubert's Mass No. 2 in G Major on April 14th. John Armato and I will also be performing a recital of lute songs on Wednesday, April 10th at the Village Learning Place. After that, John and I are off to California for a brief concert tour in the Pasadena/LA area. Please check out my website or "like" my facebook page for more info about these performances. In May I will be singing again with Eya before leaving Baltimore for most of the summer. I was thrilled to be selected as one of the young artists for the Boston Early Music Festival this year. I will be singing in the chorus and covering a major role in Handel's Almira from mid-May through June. In July I will be returning to the American Bach Soloist Academy in San Francisco. I am very much looking forward to working with such wonderful artists, colleagues and mentors! I'm very excited to be returning to San Francisco for a second summer with the Academy! I will be an apprentice with BEMF from mid-May through June. I'll be working with Paul O'Dette, Stephen Stubbs, Gilbert Blin and Ellen Hargis and covering a role in the performances of Handel's Almira. I'm very much looking forward to working with Lynn Staininger and the wonderful Hood College Chorus again in April! I will be performing my first Messiah as a soloist with Hood College and the US Naval Academy this November in Frederick, Maryland! I am happy to announce that I will be the soprano soloist in April 2013 with the Bach Concert Series under conductor T. Herbert Dimmock. In the Spring of 2013 I will be performing with DC's leading Early Music voice ensemble led by David Taylor. I'm very excited to be joining this amazing group! I'm thrilled to be returning for a second season as a professional singer with the Baltimore Choral Arts Society. The season will include several more collaborations with the Baltimore Symphony Orchestra as well as the Choral Arts Subscription series concerts. Please check out my Performances page for concert dates.